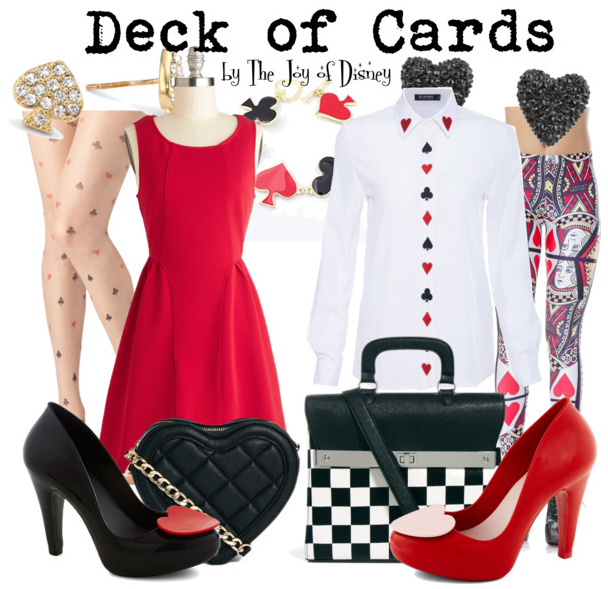 Buy the look on the left: Dress, $59.99 ; Tights, $14.99 ; Shoes, $74.99 ; Bag, $37.64 ; Bracelet, $6.99 ; Earrings , $48. Buy the look on the right: Shirt, $36.99 ; Leggings , $13.99 ; Shoes, $74.99 ; Bag, $65.87 ; Earrings, $25. 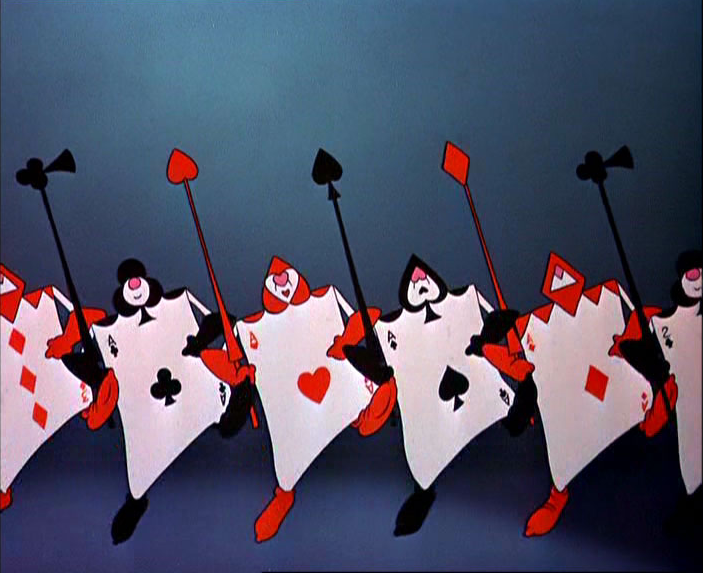 Outfits inspired by the deck of cards from Alice in Wonderland!